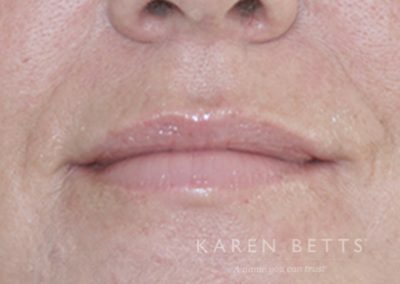 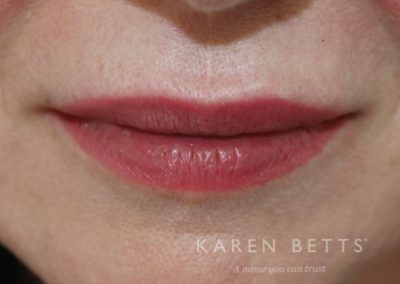 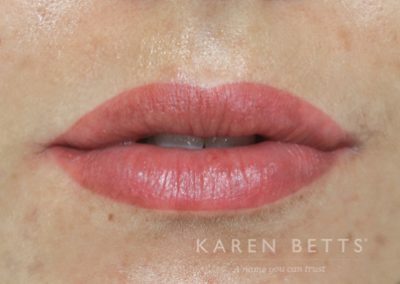 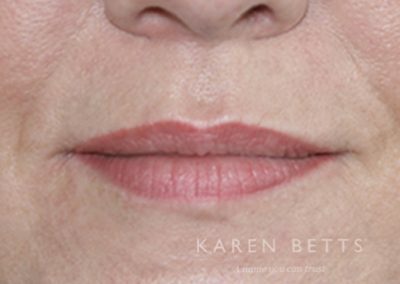 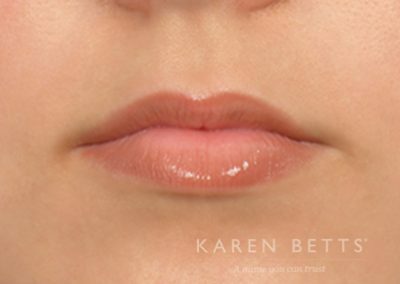 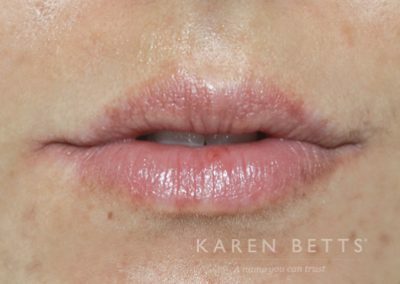 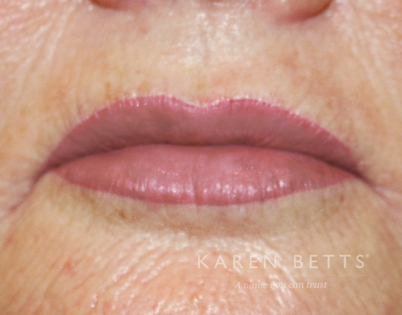 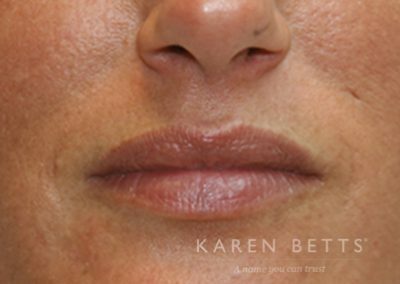 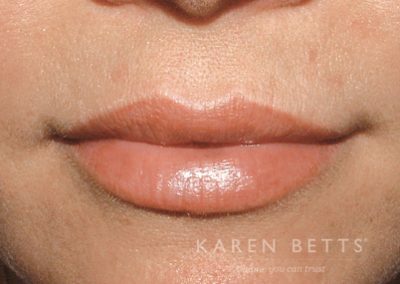 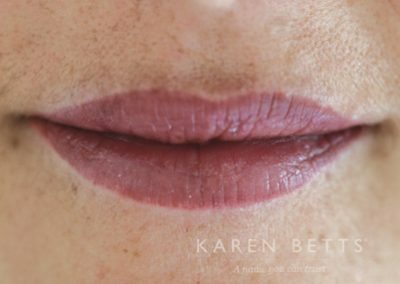 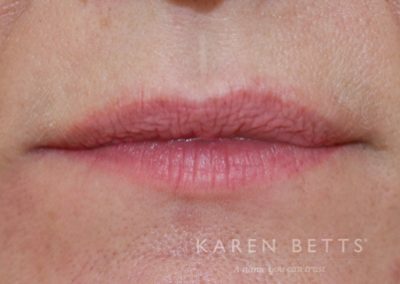 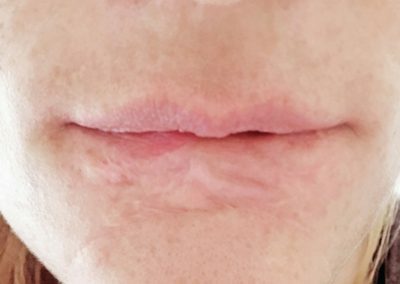 If you have lost the natural pigmentation and/or definition in your lips, it is possible to add subtle definition to faded lip contours, or create fuller lips using a variety of techniques. 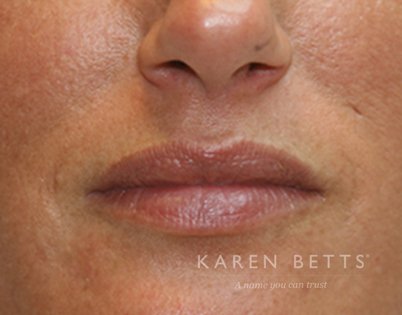 We can even create the look of fillers without the need for painful injections! 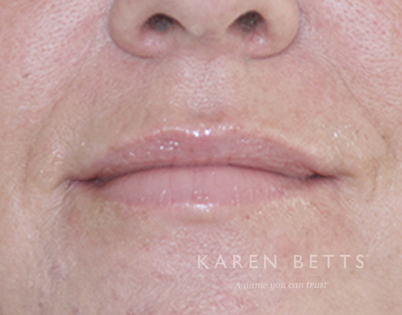 Whatever your reason, permanent makeup could be the solution for you. 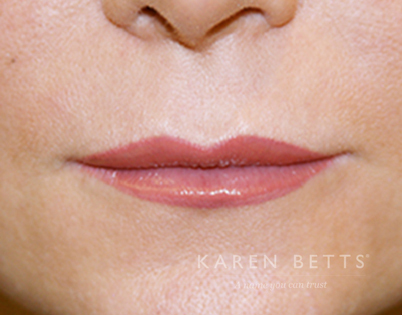 A lip treatment is a three–part process usually completed within two appointments. 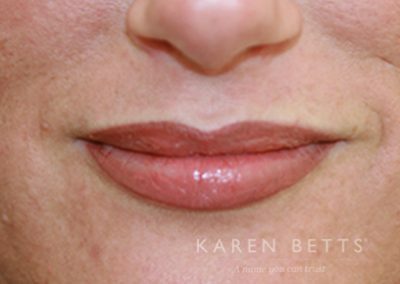 The price you are quoted will include all three stages. 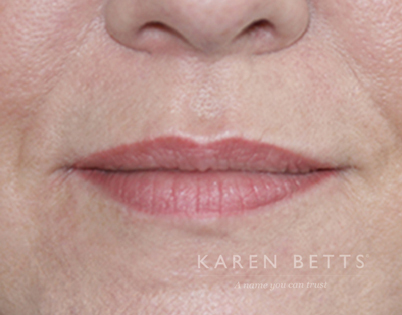 The first part of the process is a consultation. 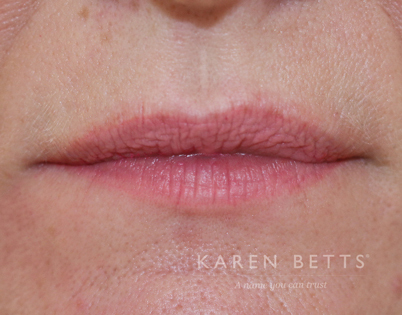 This is normally done as part of your initial treatment, but can be done separately if you prefer. 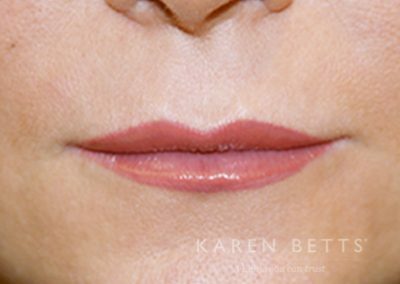 My team and I will talk with you in great detail about the look you are trying to achieve and what we might recommend to you. 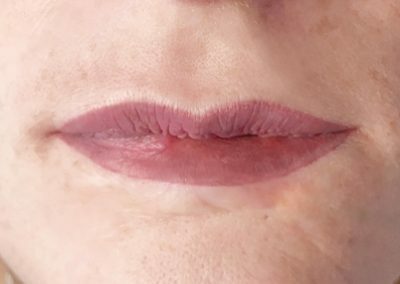 This is very much a two-way conversation. 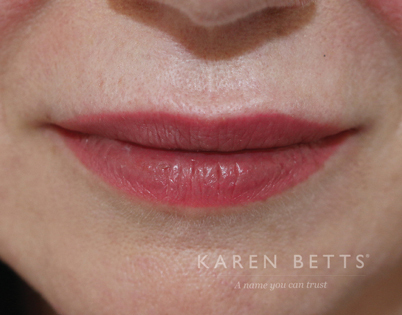 We listen, we respond, we advise. 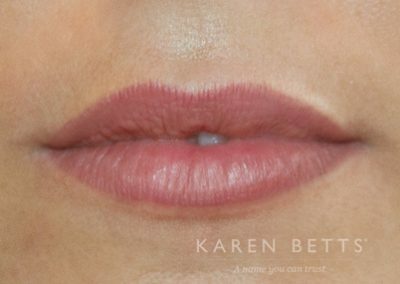 Once we have an idea of the look you are aiming for, we draw the lip contour and colour on with a makeup pencil. 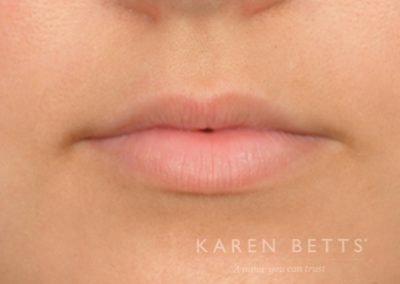 This can be drawn on and adjusted 50 times if necessary! 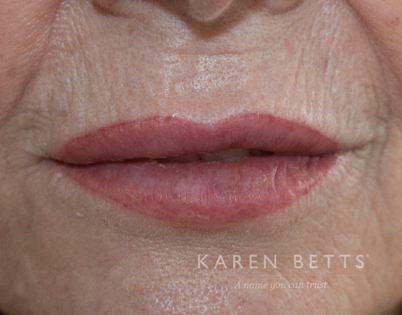 We will never begin the tattoo process until you are completely happy with what it is going to look like. 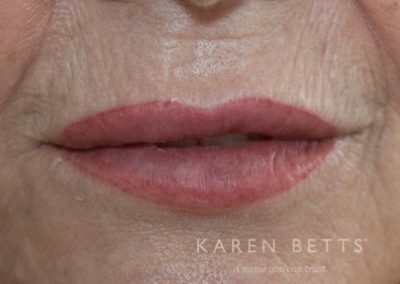 Using a specialist facial tattooing machine, which works at a much lower frequency than a standard tattoo machine, we gently apply pigment to the lips using very fine needles. 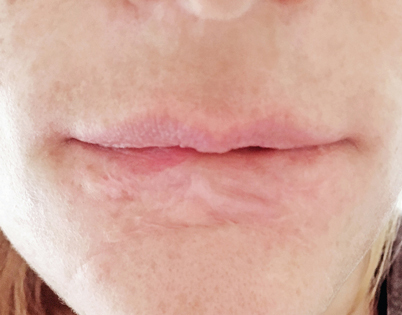 The sensation is that of an electric toothbrush being held against your skin – you feel the vibrations but you should not feel much discomfort. 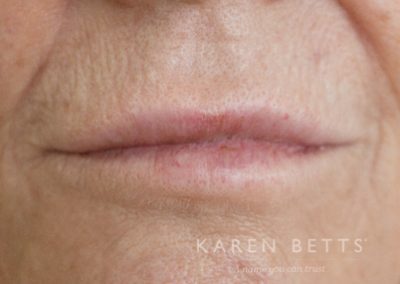 We will always work with you at this stage, giving you breaks if you need them. 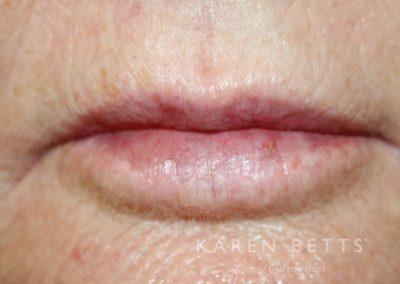 The process normally takes about 90 minutes, but it varies from person to person depending on your individual requirements. 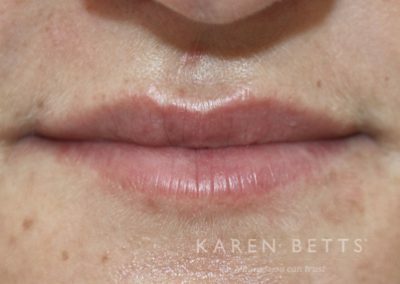 After a lip treatment you are likely to be swollen, so we do not advise making any social plans for a few days afterwards. 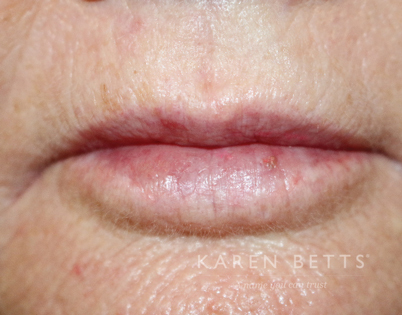 A second appointment is needed 4-12 weeks after your first treatment. 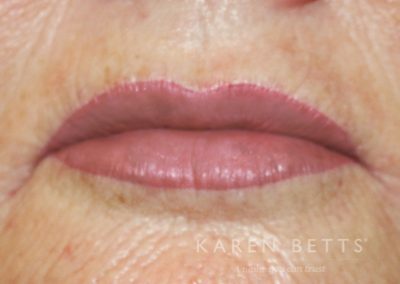 This is usually a 30-60 minute appointment to add more pigment to the lips. 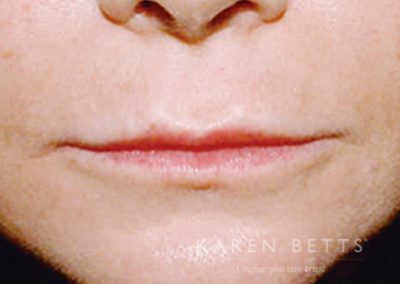 This is because as the area is healing, some parts may not ‘hold’ as well as others and you may have a few patches that need more colour. 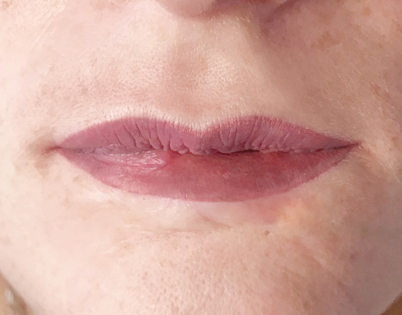 This is completely normal and everyone heals differently. 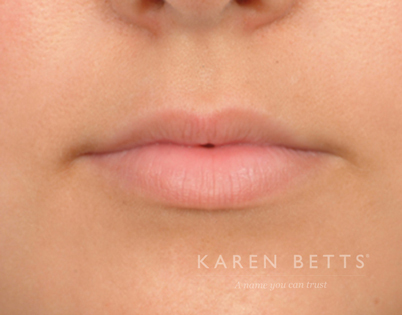 Whatever the case, we advise you always come back to clinic for your retouch.